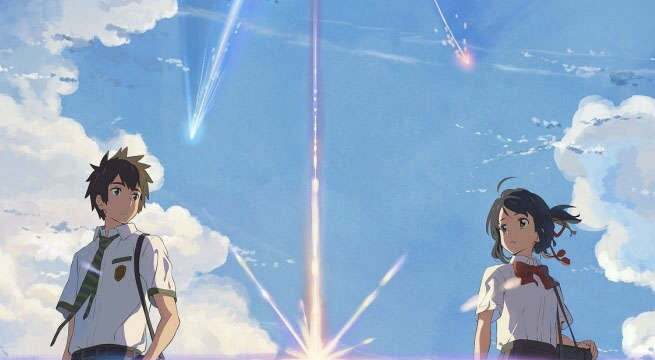 Kimi no Na wa -- or Your Name in English -- has been praised and breaking records all over the world since its release last year, and it just broke another one. The film has officially outgrossed Spirited Away, which was the most successful film in Japanese History, having grossed $289 million worldwide. Your Name is now officially the highest grossing anime film of all time, and has currently grossed over $290 million in the international box office. Most of the money came from Japan, earning $192.5 million, and it is currently the 3rd highest grossing film of all time in Japan. The film is also a huge success in China, in which it grossed $81 million, pushing it to become the highest grossing Japanese film in China. It also was very popular in South Korea, helping push it towards it international success. Kimi no Na Wa takes place in modern day Japan, and the story follows two characters who live very different lives. Mitsuha is a high school girl who lives in a small rural town up in the mountains. Her father is the Mayor and not around much, and she lives with her little sister and grandmother. She is an honest person but hates living in a small town and is constantly wishing to be living the lavish lifestyle in Tokyo. Taki is a highschool boy who lives in downtown Tokyo. He goes to school, works at a restaurant, and loves the fine arts and architecture. One month after a comet has fallen in Japan, both characters have a dream that they are living very different lives, and they are strangler similar to each others real lives. The movie is directed by Makoto Shinkai, known for Voices of a Distant Star, which received recognition thanks to it’s breathtaking visuals and mature themes. The animation department is head by Masashi Ando which has done work on many Studio Ghibli movies such as Spirited away, and Princess Mononoke. Kimi no Na wa is released in cinemas around the globe and set to be released in more. It has been submitted as a nominee for Best Animated Feature at the upcoming 89th Academy Awards.